• Where do we meet? Mae’r grwp yn cyfarfod bob Nos Lun, 6.30yh yn the Friends Meeting House, Stryd y Deon, Bangor. Mae’r grwp yn ymgyrchu yn ddwyieithog; mae’r cyfarfodydd fel arfer yn yr iaith Saesneg. Our group meets every Monday at 6.30pm in the Friends Meeting House, Dean Street, Bangor. The group campaigns bilingually; meetings are generally held in the English language. Bangor & Ynys Môn Peace and Justice is an independent peace group, which cooperates with many other campaigning groups in the locality, in Wales as a whole, across the border and internationally. Many members have personal experience of the Middle East, Africa and other parts of the world; a number of former members are now working on projects in Palestine. The group, which was founded in the autumn of 2001, has also sought to build bridges in the local community. We welcome people from various political parties (or none), trade unions, faiths (or none), students and non-students, people of all ages, people from many different backgrounds and with many different interests. The group campaigns against war, occupation and state terrorism. It is particularly concerned with Afghanistan, Iraq and Iran, with the oppression of Palestine, and also with events in Burma, Africa, Central and South America and other parts of the world. It opposes nuclear weapons and the arms trade. It campaigns for human rights, international law and fair trade. It supports the Olive Grooves group, which raises funds locally for planting olive trees in Palestine. It campaigns against the proposed Military Acadamy at St Athan/ Sain Tathan. Bangor and Anglesey Peace and Justice Group meets on most Mondays at 6.30pm at the Friends Meeting House, Dean Street, Bangor. This is next to the Octagon, opposite the Dean Street Chippie. It is a good idea to come to a meeting to meet people, but turning up for demos and rallies or writing letters is at least as important (probably more so!) than the meetings. activities) and groups.yahoo.com/group/just-peacearticles/ (where members post press cuttings relevant to our activities). You may be able to view the messages on these web groups without joining them but if you wish to post your own messages or to get a weekly or daily email of the posts on these web groups you have to join – its free! These web groups cover all activities in Wales. 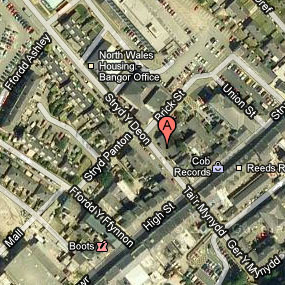 Bangor also uses the email mail@bangorpeace.co.uk for incoming communications. There is an excellent daily news digest which you can receive by emailing globalnetnews-summary-subscribe@lists.riseup.net which has worldwide news on peace and justice related activities. Thank you for your interest, we hope to see you soon.